This giveaway ended at 12AM on Monday, February 01. With the diminishing gender divide, males are donning pink stilettos while women in suits are running Fortune 500s. Gender norms are established in adolescence by clothing, activities and toys marketed to children, which shape their internal definition of themselves. 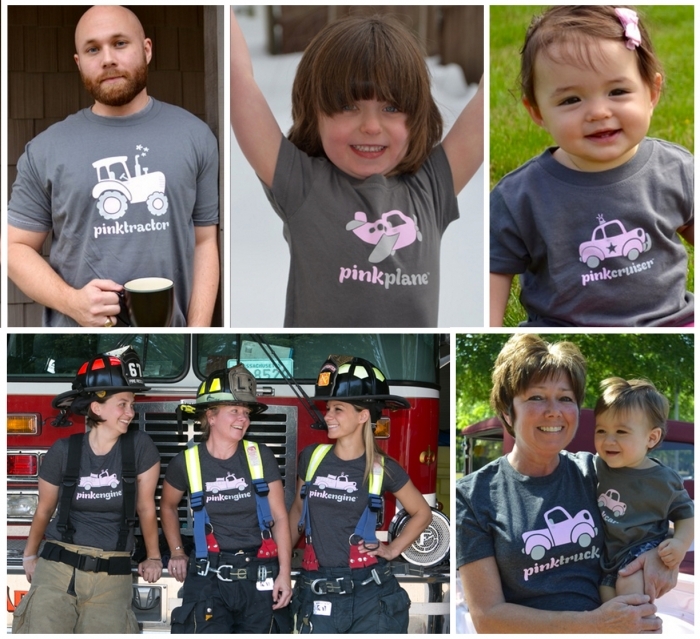 To greater encourage boys and girls to escape gender norms, Pink Truck Clothing allows boys to proudly sport the color pink and girls to wear their favorite utility vehicle on their chest. Fuel children's imaginations and personal choices with an array of comfortable, unisex clothing for infants to adults! The winner of this giveaway will receive any T-Shirt, in the size, color and design of their choice, pending it is in stock.. This contest ended at 12AM on Monday, February 01.